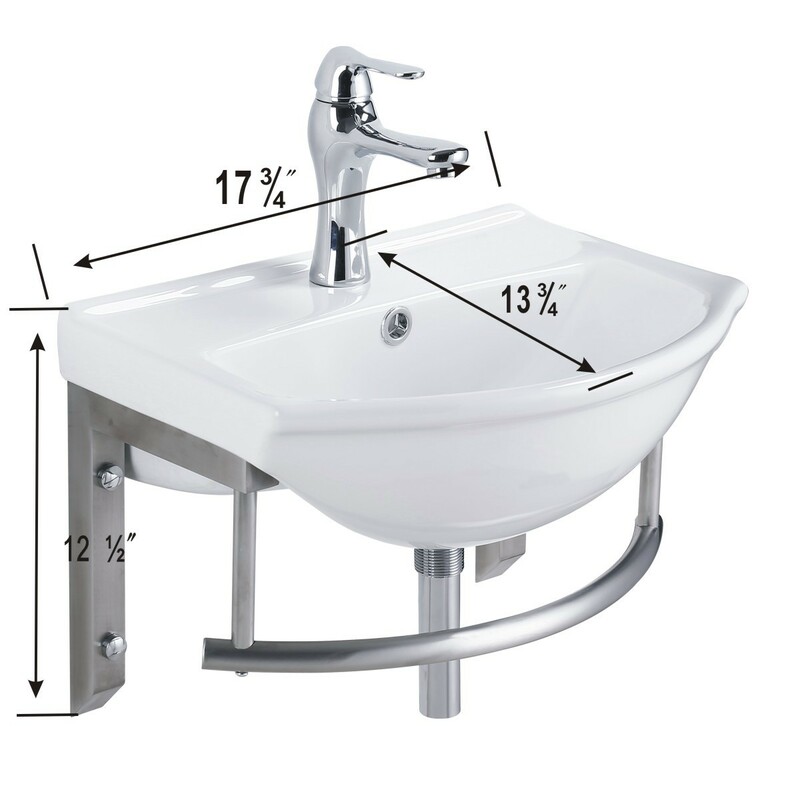 Dimensions: 17 3/4" Wide, 12 1/2" Height, 13 3/4" Projection. 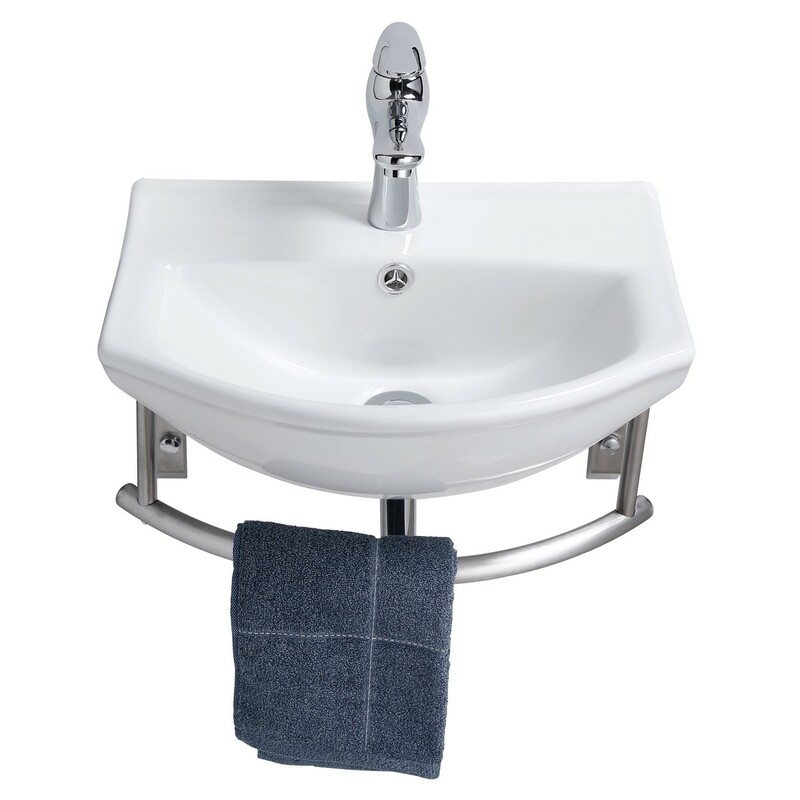 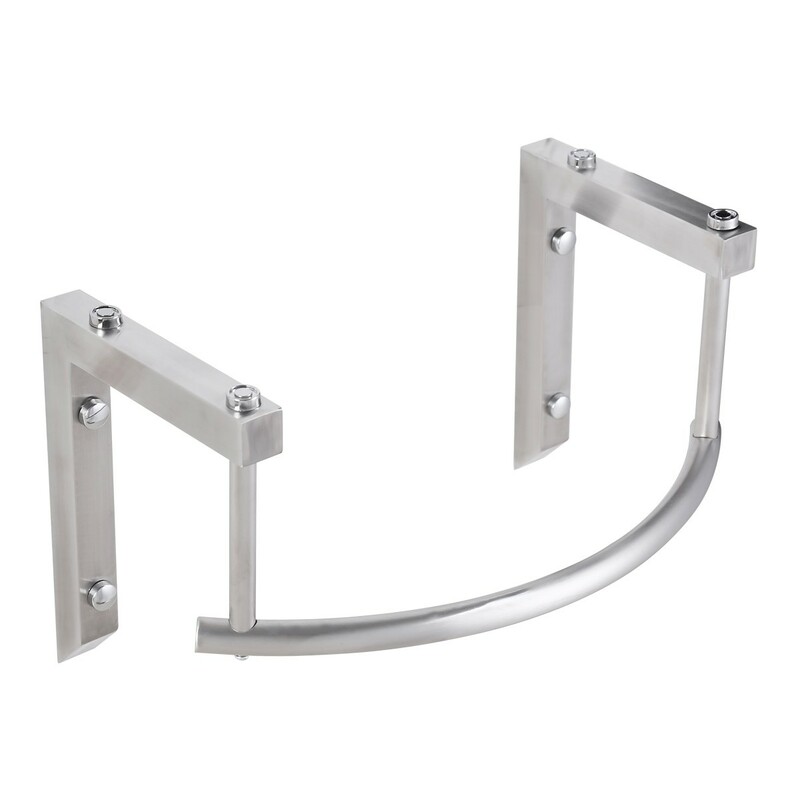 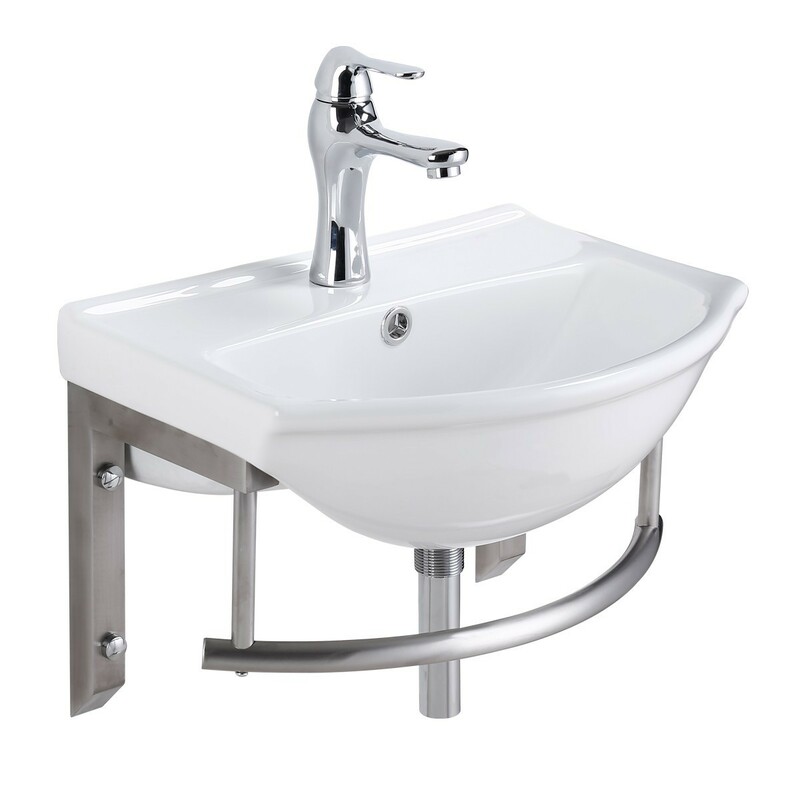 Small Wall Mount Bathroom Sink with Built in Stainless Steel Towel Bar and Bracket Support. Includes Elegant Chrome Faucet, Drain, and Supply Lines. 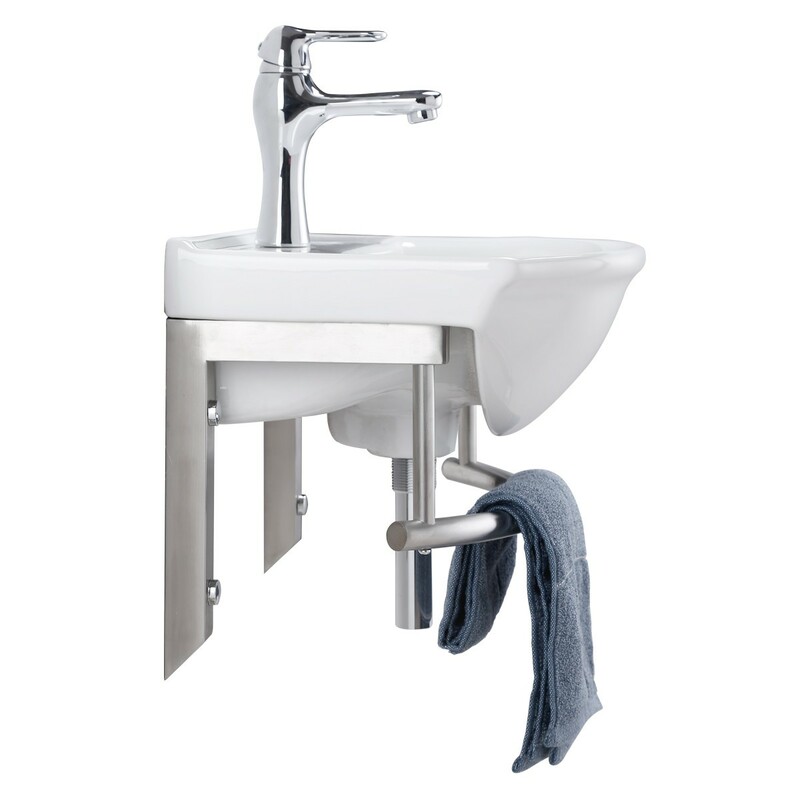 Supply Lines are to be hand tightened in Faucet Body for a more recessed design. 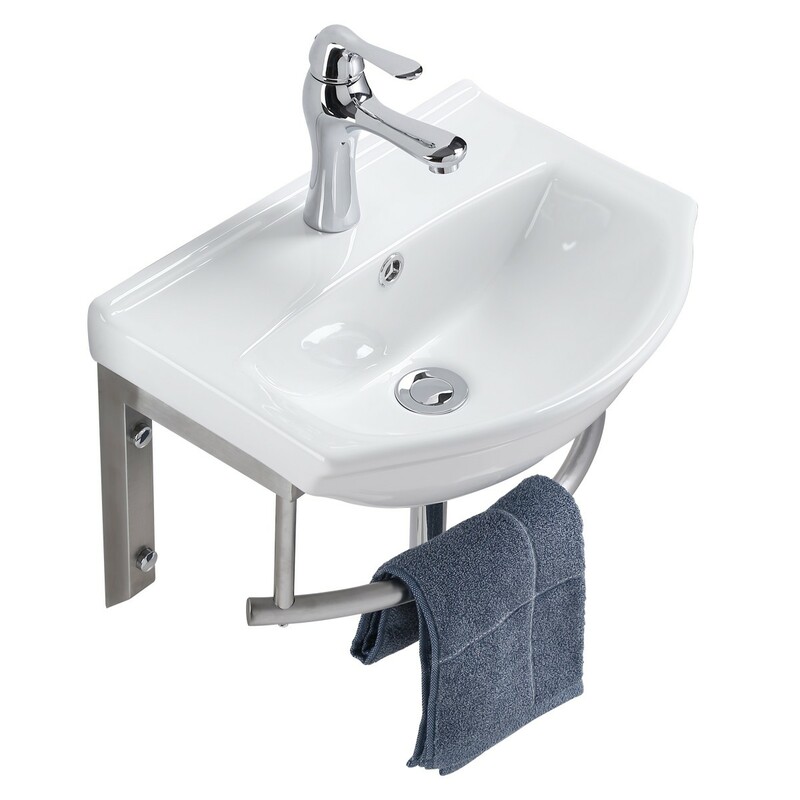 This Small Wall Mount Sink is a space saving compact design. 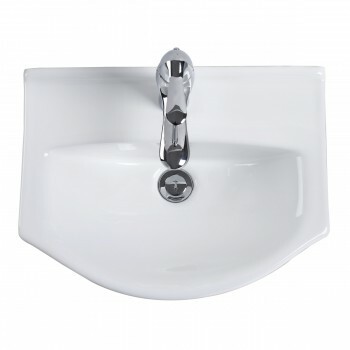 The sink is made of Grade A Vitreous China and has an Overflow Hole. 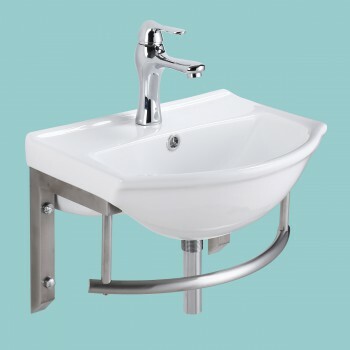 The Faucet included is an elegant Chrome Curved Body Single Hole Faucet. The Drain included is a Chrome Pop-Up Drain, simply press down to "pop" open and then when open-up simply push down to close. Dimensions: 17 3/4" Wide, 12 1/2" Height, 13 3/4" Projection. We do not give Rough-In dimensions due to Heated Process of the Sink Mold may slightly vary the rough-in dimension therefore to be precise we suggest measuring Rough-in with Product at application site.